Folks what’s up it’s Tuesday in USA and I’m here to tell you hi hello and bring you up to speeeeeed. 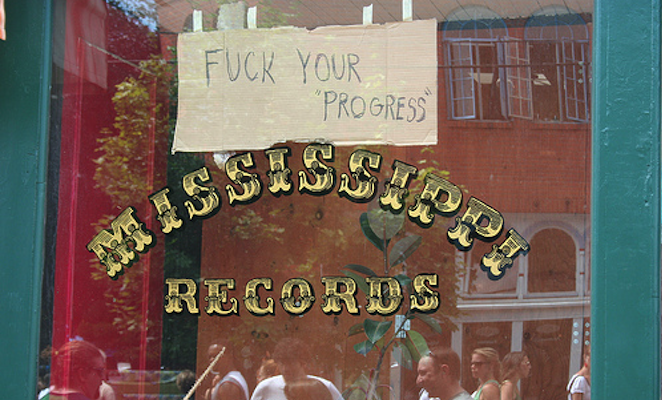 Everyone knows that Mississippi Records is one of the best active American record labels. Their aim is true, and their passion for the under-appreciated and long-lost is necessary. So it’s no small news day when we find out the Mississippi folks are coming to Nashville this Thursday to spread their gospel. A Cosmic and Earthly History of Recorded Music, hosted by our Third Man buddies, is a multimedia lecture which will span the entire history of recorded music and beyond. If “cosmic patterns that resemble music generated by stars being born and dying” and “musical patterns in the natural world that work on the same principals as music” are your bag (and my God, how could they not be?? ), this is not to be missed. Tickets are $7, a steal considering all the Mississippi releases you have already/eventually will soulseek, and are available here.